Observation - Pete Carey's first query - Global. 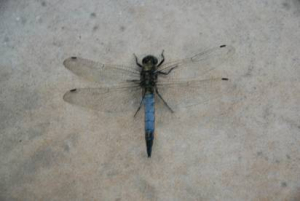 Description: I think this was a Broad Bodied Chaser that came into my conservatory from the Lakes behind my house at the south west corner of the Fens. I think this was a Broad Bodied Chaser that came into my conservatory from the Lakes behind my house at the south west corner of the Fens.